Each and every piece is printed to the highest standards onto waterproof canvas,and then stretched by hand across a imported high quality pine frame ensuring the original character of the piece is represented. 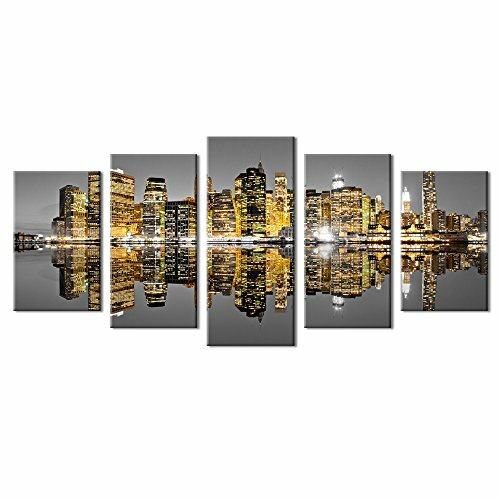 The canvas art could brighten the walls of your home,and relax you after work. We focus on every detail of production,ordering prints from our store means ordering quality and getting 100% satisfaction. The canvas art has a black hook already mounted on the wooden bar ready to hang out of box. Neat flannel on the back covered the staples or tacks.We only provide high grade product for you. Any problems with the item you received,please contact us without hesitation,30 days full refund guaranteed. If you have any questions about this product by Live Art Decor, contact us by completing and submitting the form below. If you are looking for a specif part number, please include it with your message. Giant Art Apex Huge Modern Abstract Giclee canvas Print for Office Home Wall Decor with Stretcher, 72 X 72""
HUGE! LIMITED EDITION - Hand embellished, textural abstract painting. Giclee on Canvas. 48x36x1.5 TRANQUIL EARTH. Ready to Hang!